Startup geriatric care managers or existing GCM’s considering adding private duty home care agency to their practice, should think twice. There is a perilous present and future shortage of homecare aides to employ for the business- the very product of PDHC. Better to partner with a good fully staffed PDHC. It is a country wide challenge for private duty home care agencies to find staffing, for many reasons. Despite growing demand, caregiver shortages remain as the top problem agencies face today. A whopping 70% of agencies said this was their biggest hurdle in 2016, followed by caregiver turnover, which 53% of agencies agreed was a top threat. Another big problem in recruiting was finding caregivers who are within close proximity to clients, yet the problem still paled in comparison to the recruiting factors . Recent immigrants from other countries will be kept out. Nurses and doctors who cannot yet practice in the US and care providers in general, who cannot come into the US ,will sorely affect the private duty home care industry on top of the present need for staff in our own country. Any care manager or private duty home care agency will tell you that recent immigrants are a great resource to PDHC and make excellent hard working care providers. Along with nurses they represent 1.5 million workers in healthcare today. The potential demise of the ACA will affect the number of homecare aides as 1 in 5 depend on the ACA for insurance. If the ACA is changed as threatened, homecare aides may be too sick to work the brutal hours they must work in the PDHC industry. Geriatric Care Manager beware-better to partner with a private duty homecare agency at this point in the geriatric care management business. 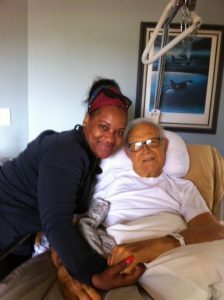 Why Does a Geriatric Care Manager Need to Partner with Private Duty Home Care ?? Why Do You Need to Partner with a PDHC agency? Geriatric care managers need to partner with private duty home care. Why?? 80% of Aging life or geriatric care managers are boutique or stand-alone agencies. The do not have a private duty home care component. 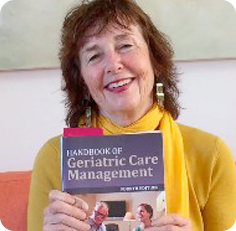 Aging Life or geriatric care managers, may begin a case by just offering geriatric care management. But they will need to bring in some type of private duty home care eventually as 6.3 million people over 65 need long term care. Long-term care often involves the most intimate aspects of people’s lives—what and when they eat, personal hygiene, getting dressed, using the bathroom. Geriatric care managers arrange this and but they do not do it directly. Other less severe long-term care needs may involve household tasks such as preparing meals or using the telephone, which is usually non-medical care. Geriatric care managers make sure this is done for a client but again do not clean homes or answer the telephone. They need to partner with an excellent private duty home care agency. However a beginning geriatric care managers cannot afford to start private duty home care and geriatric care management. . Non – skilled home care can take 40 K to 60K start up, skilled care agencies 60K-80K and Medicare $150K-300,00. Only 20% of GCM’s offer care managed home care and they are, according the 2014 Benchmark study on Care Management but those e agencies have either been in business a long time or are privately funded start up’s- well capitalized. So start-ups, you need a good PDHC partner. Recruiting Geriatric Care Manager Director? 2. Will communicate with clients and their family members, doctors and medical staff; and monitor clients’ situation on an ongoing basis. 3. Will oversee the day-to-day operations of the Program; ensuring provision of services to GCM clients; and supervise administrative and professional staff and the program grows.